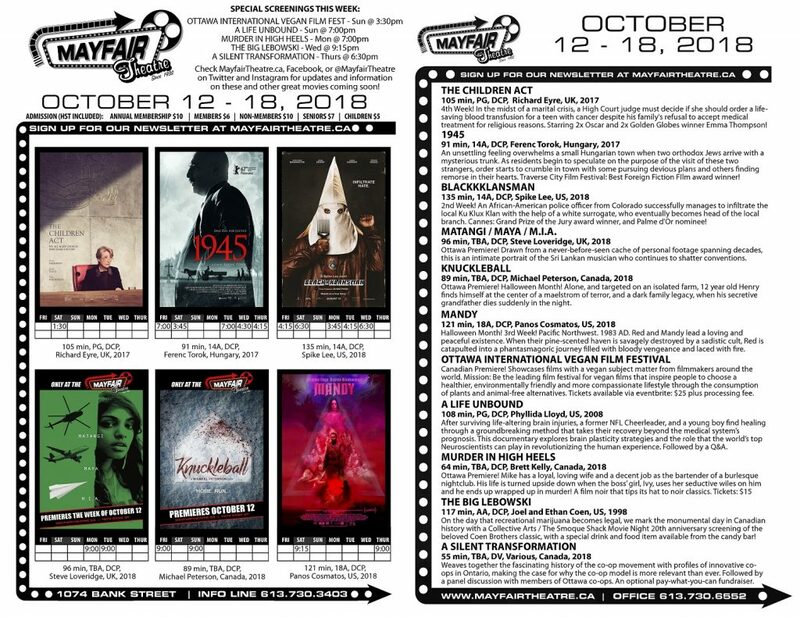 Held Over – The Children Act, 1945, Blackkklansman, & more Halloween Month screenings of Mandy! Ottawa Premiere! – Matangi / Maya / M.I.A. The Big Lebowski – A Collective Arts / The Smoque Shack Movie Night & 20th anniversary screening, marking the monumental day in Canadian history that recreational marijuana becomes legal on October 17th! Plus, special screenings of A Life Unbound, Murder In High Heels, A Silent Transformation, & the Ottawa International Vegan Film Festival!